I try to check this overview each month for broken links and not maintained blogs. I hope you will find this overview useful and up to date! 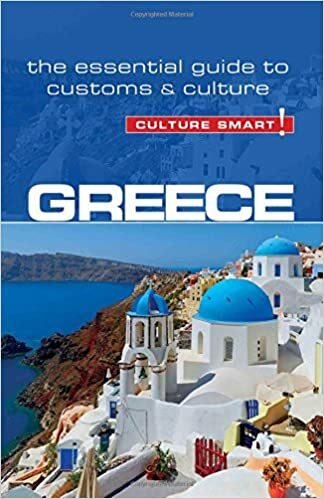 Last updated on March 20th, 2019.
: "Greece Is" has more than 300.000 Facebook likes and is a platform for showcasing destinations, culture, history, experiences, authenticity & creativity in all its forms. : I am originally from Calverley, a village in Leeds, England and have been living here in beautiful Greece for over thirty five years. : The Finest in Greek Food and Recipes. : On this blog I will share with you my home, The Odyssey, my food and favorite recipes. I will also have guest bloggers who will be joining me on Poros and who will share our Greek adventures. : As a photographer, my blog is highly visual and focuses on food and travel with a big emphasis on my Greek heritage. (Hence the reference to “souvlaki" in the title of my blog). : If you want to be inspired to lead a happier, healthier lifestyle and learn more about the Real Mediterranean Diet and are looking for tried and trusted information, you’re at the right place. Join me as I talk about the nutritional value of the Greek Diet, cooking, news, research, Greek products, and easy ways to incorporate Greek and Mediterranean ingredients and recipes to your diet. : I am Eugenia, collector of family recipes. It’s all Greek, from healthy Mediterranean recipes to syrupy desserts. : This blog began as a way of writing down all of the recipes, cooking techniques, shopping tips and tricks that my father carries around in his head as well as meals that I’ve enjoyed since childhood. In the process of what soon became a monumental task, this blog has turned into something very wonderful. : Through this blog we aim to bring you some of the most famous (and also most confounding) quotations from the ancient world. In addition, we also take pleasure in shining lights on some of the forgotten shelves and corners of classical heritage. You’ll find tidbits from the Archaic Age in Greece all the way through imperial Rome and up to the fall of Byzantium. : Very interesting twitter account with beautifull images of Greece. : The leading Greek news organization outside of Greece. : We are passionate about living well, embracing all that Athens has to offer and sharing it with you! : Daily life on a greek island through the eyes of a local-alien, still 'foreign' even after 40 years residence. This 'foreigner' is a local-kiwi-alien so there is a new zealand flavour to my writing. : Secret tips about Santorini and Greece. Live, Travel and Eat like a local. Villas and apartments for sale in Greece. Buy a holiday home on a Greek island, Crete, Lesbos, Rhodes, Chios, Corfu, Zakynthos or Kos. The typical Greek cuisine prefers main dishes that are prepared in the oven and either kept warm or eaten lukewarm anyway. Bread, mostly Greek white bread, is eaten with all dishes. In general, you cook with a lot of olive oil. With the general increase in living standards in the last decades of the 20th century, meat consumption has risen sharply. How to buy a house in Greece ? What are the additional costs ?